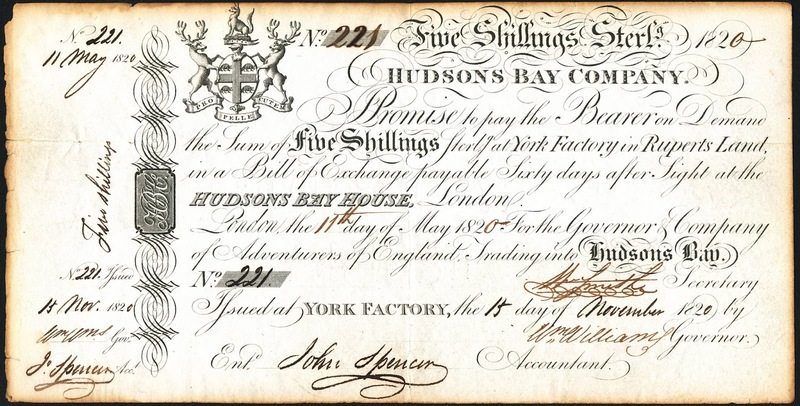 FIVE SHILLING PROMISSORY NOTE FROM THE HUDSON'S BAY COMPANY YORK FACTORY AT THE RED RIVER SETTLEMENT. A few creases from folds, and some browning along the edges. Provenance: a private collector in Alberta.